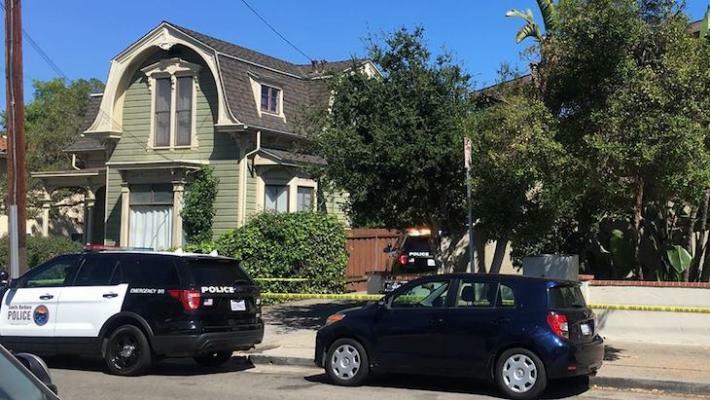 On Sunday, July 22, 2018 at about 1PM, the Santa Barbara Police Department Combined Communications Center received several 911 calls reporting two men physically fighting in an alley near the 300 block of West Arrellaga Street. One caller reported that one of the men was armed with a two-foot machete in one hand and a baseball bat in the other. The sounds of fast-approaching police sirens ended the melee, causing the primary aggressor to retreat toward a nearby apartment complex and barricade himself inside one of the units. Upon arriving, officers set up a perimeter and started taking witness statements. The main aggressor was tentatively identified as local resident and parolee, Roberto Buenaventura, age 24. Buenaventura was wanted for parole violations and a felony assault warrant from a previous incident. 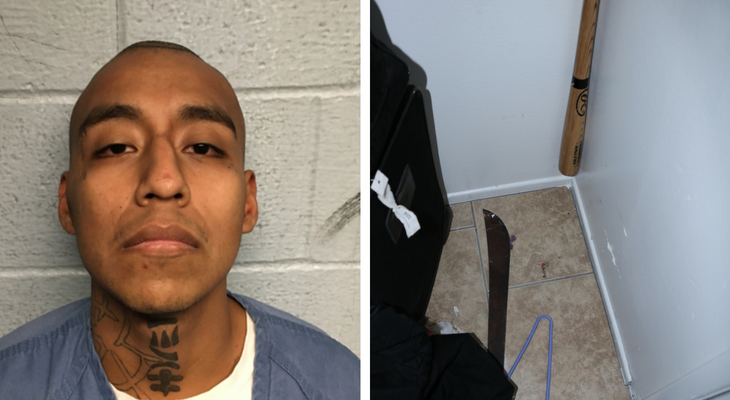 Officers rapidly determined that due to his aggressive behavior and history of violence, Buenaventura posed a significant threat to the community and officers. 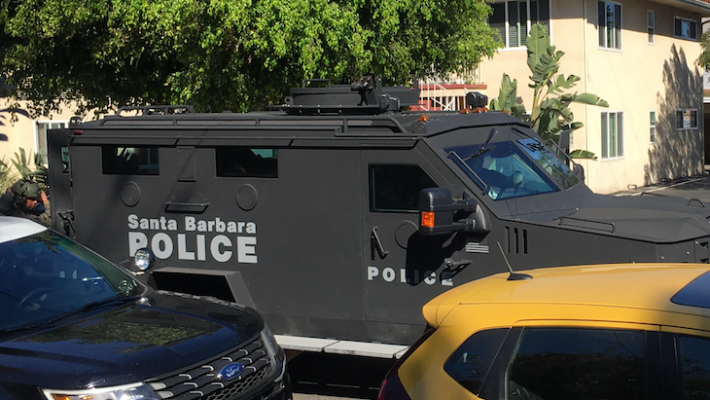 At approximately 2:45 PM both the SBPD Special Weapons and Tactics (SWAT) and Crisis Negotiations Response (CNRT) teams were activated. Officers conducted evacuations of surrounding apartments and provided shelter in place instructions for residents of other nearby units. A CNRT Sergeant realized that the suspect’s mother was communicating with the suspect via phone, and was thus able to gain communication with him. Buenaventura was ordered to exit the residence and surrender. After a tense standoff, Buenaventura eventually realized he was in a no-win situation due to the SWAT Team members taking up tactical positions outside his apartment. At approximately 5:30 PM, Buenaventura peacefully surrendered and was taken into custody by SWAT officers without the need for use of force. He was booked into Santa Barbara County Jail for felony use of a weapon, being a known felon participating in a local criminal street gang, disturbing the peace, and for his outstanding parole warrant and other violations. One man was arrested for attempting to fight someone with a machete in the 300 block of Arrellaga on Sunday. 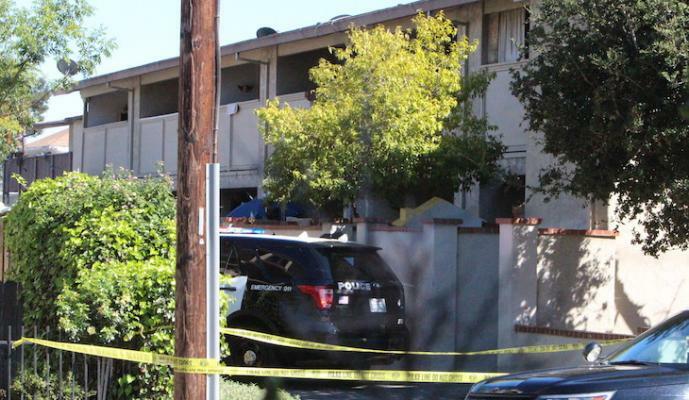 Santa Barbara Police received calls about the incident around 11:00 a.m., but before they arrived on the scene the suspect fled into a nearby apartment complex. The SWAT team and a Police Bearcat responded as the suspect refused to come out of the building. Eventually, the suspect exited the building and was arrested without incident. A person involved in a fight near 313 West Arrellaga with a machete. SBPD is responding code 3 lights and sirens. Another example of our fine "justice system"... The idiot needs about 5 yrs doing asphalt work along HWY 166. "Man arrested for attempting to fight with a machete." Did the machete fight back? Love these Edhat headlines. Roger is reporting on this event and I'm always grateful for the information. But WHY is going on with all the down votes on his reports. 18 comments deleted in total and now we can't see what happened. EDHAT...can you please do something about the"down" voting option ? Email us at ed@edhat.com with your questions/concerns, we'd be happy to answer them. Please keep the comment thread on topic. Whatever happened in the end? Santa Barbara is rapidly following the "glorious" path of S.F. where homeless people defecate in full view of passerbys, urinate on them and where you have to jump over needles littering the sidewalk. And all of this behavior is glorified and encourages by "city elders" who feel "great" about having encouraged these kinds of totally deviant behavior and do everything to make law abiding and civilized people feel that they are a plague in this country and are responsible for all the ills in the society. Good luck to this city which is very quickly going down the drain !! City elders need to know you have their back when they use regulations and enforcement to stop this behavior. Are you ready to go to bat for them or let them get shouted down by the "social justice" crowd.... again. 3 Verbal commands no response opening the door with the key...Gave commands no results. No one is supposed to be inside the unit. Going to conduct an interior search of apartment 11 I believe this is the apartment of the man who was armed with the machete. This was an ongoing issue other neighbors had been calling about this subject before in fear. Loading him in the black and white. Suspect is resisting they are going to take him into custody...Subject in custody. Verbal contact....Speaking with the suspect now who is outside. Everytime I monitor one of these things I want donuts but now I want fried chicken eating better. He crawled back inside and shut the door. He is coming out on the balcony then ducked down behind the wall. I think they said they evacuated surrounding units not sure because the fire channel was jibber jabbering too loud.. I guess they have made some announcements for someone to come out and they are not coming out..
Every landlord in the world just wants to rent to people that get along my Landlord was that way one rotten egg can spoil the whole bunch...SBPD still looking for the other party involved in the fight. Just drove by; there are at least 8 police cars and guns drawn. Yikes!! I think they are tired of this guy they keep hearing about they are still looking for a possible victim. Parties are separated police say this might be a mutual 245pc Assault with a weapon. PD looking for one subject involved to see if he is injured AMR responding code 2. I have acouple annoying neighbors but they are not that annoying it must be really scary for the people that live there some guy pulling out a machete everytime he gets angry. Probably before they got there. Subject returned to his apartment. Suspect balding, wearing a grey shirt has tattos...SBPD on scene.